Road Test TV – Clutch problems may be causing a little bit of a headache for some 2011 Ford Mustang owners; however, Ford Motor Company appears to be on top of the issue. For 2011 Mustangs built prior April 25, 2010, Ford has issued a Technical Service Bulletin (TSB) for the potential clutch issue. The affected Mustangs may experience a “clutch stayout”, which means the clutch pedal will stick to the floorboard even after the clutch pedal is released during high RPM shifts. Not a good thing when rowing through the gears on your car. Ford will fix the problem for free of course and the repair takes less than an hour according to the TSB. We doubt the clutch problem will initiate a recall; however, owners with affected Mustangs should get their cars repaired to avoid potential clutch issues. To read the actual Ford Technical Service Bulletin look after the jump…. 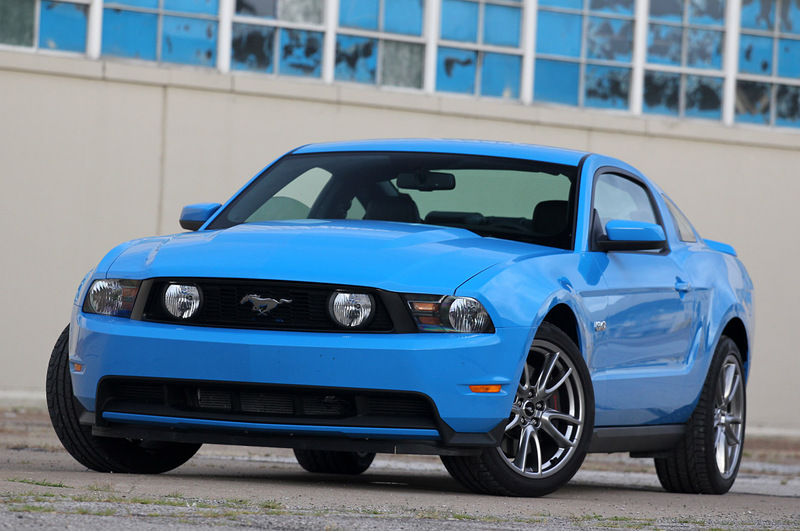 Some 2011 Mustangs built on or before 4/25/2010, with a manual transmission and low mileage, typically 10,000 miles or less (16,093 Km), may exhibit a clutch pedal Stayout condition at very high engine RPM. This condition will generate a concern of the clutch pedal remaining on the floor during high engine RPM shifts. When engine RPM drops, clutch pedal operation returns to normal, but the re-engagement may be abrupt. Follow the Service Procedure steps to correct the condition. The clutch pedal Stayout is a condition where at high engine RPM, centrifugal forces on the clutch system can reduce the force with which the clutch diaphragm fingers push against the release bearing. This can result in the clutch pedal staying on the floor until engine RPM decreases and the diaphragm return force increases. 1. Replace the Brake Pedal and Bracket assembly. Refer to Workshop Manual, Section 206-06. NOTE: The information in Technical Service Bulletins is intended for use by trained, professional technicians with the knowledge, tools, and equipment to do the job properly and safely. It informs these technicians of conditions that may occur on some vehicles, or provides information that could assist in proper vehicle service. The procedures should not be performed by “do-it-yourselfers”. Do not assume that a condition described affects your car or truck. Contact a Ford, Lincoln, or Mercury dealership to determine whether the Bulletin applies to your vehicle. Warranty Policy and Extended Service Plan documentation determine Warranty and/or Extended Service Plan coverage unless stated otherwise in the TSB article.The information in this Technical Service Bulletin (TSB) was current at the time of printing. Ford Motor Company reserves the right to supercede this information with updates.The most recent information is available through Ford Motor Company’s on-line technical resources.